TUESDAY, Jan. 24, 2017 (HealthDay News) -- Eating a high-fat meal -- say, a cheeseburger and fries or a pepperoni pizza -- disrupts liver function, a new, small study reveals. Researchers found that the high levels of saturated fat found in such rich foods immediately alter the work of the liver, possibly setting the body up for serious disease down the line. "The effects mimic the abnormalities seen in people with severe metabolic disease," said study co-author Dr. Michael Roden, referring to conditions like fatty liver disease and cirrhosis. "Our findings paint the picture of the earliest changes in liver metabolism leading to fatty liver diseases and liver cirrhosis in the context of obesity and type 2 diabetes," said Roden. He's scientific director of the German Diabetes Center at Heinrich Heine University in Dusseldorf. How long these metabolic alterations last after people indulge in a rich meal isn't clear. In some cases when fatty foods are repeatedly eaten to excess, fats accumulate and cause a condition known as nonalcoholic fatty liver. This condition has ballooned along with the U.S. obesity epidemic, and is thought to affect as many as 25 percent of people in the United States. It can lead to cirrhosis, a serious condition characterized by scarring of the liver. Dr. Hannele Yki-Jarvinen is professor of medicine at the University of Helsinki in Finland. "We know diets high in saturated fat make the liver fatty," she said. "Saturated fats such as in butter, fatty cheeses and coconut oil are thus the worst thing to eat from the liver perspective," said Yki-Jarvinen, co-author of a commentary accompanying the new study. For the study, the researchers assigned 14 healthy, lean young men to consume a placebo or a dose of palm oil that varied according to their weight. 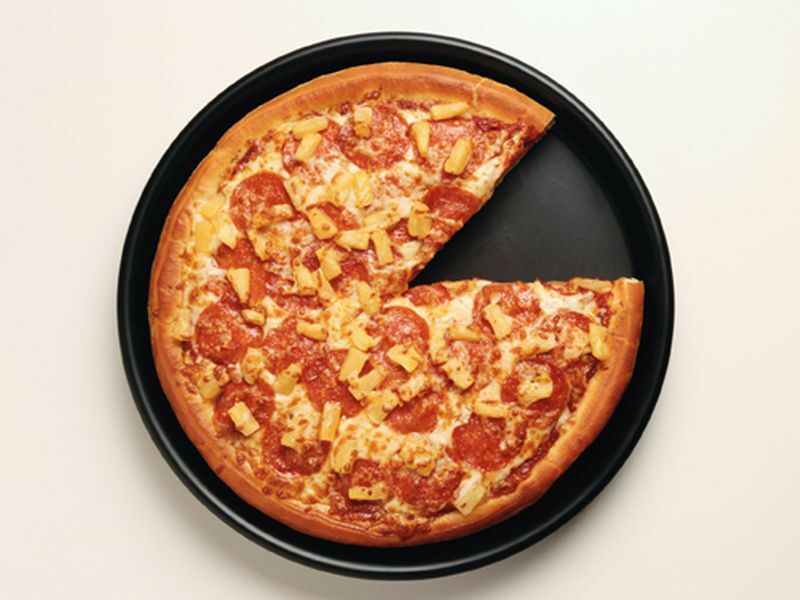 The palm oil provided levels of saturated fat equivalent to that from an eight-slice pepperoni pizza or a cheeseburger with large fries, the report said. This "fat loading" caused the liver to produce 70 percent more glucose, which could boost blood sugar levels over time, Roden said. Potentially, this could contribute to insulin sensitivity -- a precursor to type 2 diabetes. Fat loading also caused liver cells to work harder, which could stress them and contribute to liver disease, he noted. In addition, the saturated fat lowered the liver's ability to store glucose compared to fat, "which over time might favor fatty liver diseases," Roden said. It's possible that healthy people could easily overcome these effects while those who repeatedly eat fat-laden foods might be less fortunate, Roden added. Yki-Jarvinen said that while cirrhosis is difficult to reverse, most people can boost their liver health. "If you change your diet to a more healthy one containing healthy fats, such as found in olive oil, your liver fat decreases in a few days," she said. In addition to their work with humans, the researchers also launched a similar analysis of fat intake in mice. This provided insight into how fat affects the workings of genes, the study authors said. Next, Roden said he hopes to learn how long the effects of one high-fat meal last and how that compares to those of other nutrients, such as proteins and carbohydrates. The study was published Jan. 23 in the Journal of Clinical Investigation.